Marinate kheema with onions,green chillies,ginger garlic paste,turmeric powder,pepper powder, coriander and mint leaves and salt for half an hour. In a kadai take the marinated kheema and keep on a slow flame until the water gets dried. 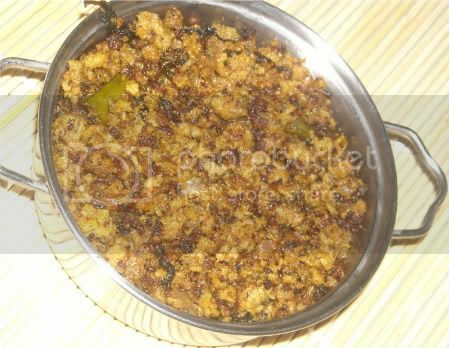 Once the kheema is dry,make a well in the center and add oil.When the oil is hot enough mix the kheema with the oil. Fry till kheema is crispy and cooked well. hey thats a nice and yummy recipe...will def try it whenever i get keema. Yumm...would love to have this with dal and rice. You have fried the mutton very well! Looks delicious and appetizing! wow nicely fried kheema looks great and tempting.